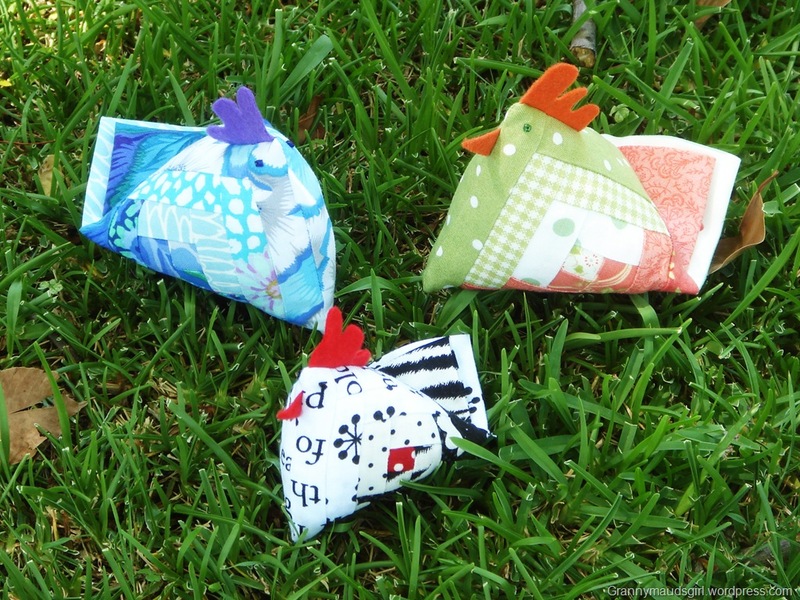 I’m pleased to announce the next stage in the Chicken Run Giveaway/Swap started on my other blog Oh Sew Tempting. The winner of the first stage, Carla, over at Granny Maud’s Girl, has made three chickens. Her winner gets to choose which one they would like to win. Here is her little brood taking the sun in Australia. If you would like to win a chicken there are a few simple rules to follow. Pop over and enter today! Aren’t they cute? Granny Maud’s Girl has even provided a nice tutorial if you would like to make a chicken using the foundation paper piecing method.